Fresh and clean spacious 2 bedroom tenement in Partick- literally minutes walk from the overland and underground train station. This property has been freshly decorated throughout with new carpets and offers any would be tenant a fantastic place to call home. 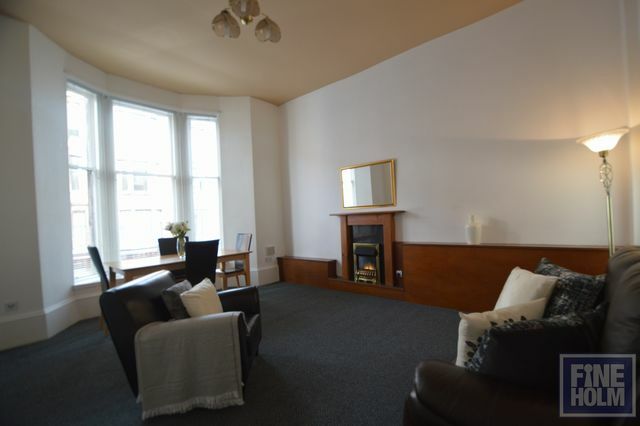 The flat has entrance hallway with storage cupboard, kitchen with appliances supplied, rear facing bedroom with large walk in cupboard, bathroom with shower over bath, front facing bedroom which is generous in size and bay windowed living room with space to dine. There is an electric fire but also gas central heating throughout. Secure entry.